How far will the walk be? The length of each walk is different and shown in the Walks Programme. For beginners, it is sensible to start with a short walk. Where do the walks start? The starting point is different on every walk. Long Walk starts at 9:30 am. Medium Walk starts at 10 am but there are exceptions, please check our walks programme. I don’t have any transport! We share cars from the meeting point (see above), so as long as you can get there you will be OK.
No, You can just turn up on walks and this is what our members do. It would be better for us to know if new people are coming so we can look out / wait for you. Please contact the walk organiser or email us. Do I have to live in Coventry to join your group? No, although we are based in Coventry, members are from other parts of Warwickshire / West Midlands. Just come along! Can I try a walk before joining Coventry Ramblers? Certainly, you are welcome to join us for 3 trial walks before deciding to join Coventry Ramblers. That depends on the type of walk and the weather conditions. Comfortable boots are the most important, but clothing to suit the British weather as well. If you are really not sure, start with a short walk, and talk to a few other walkers – you will soon get the idea. For a two mile stroll on a nice summer’s day probably nothing more than a comfortable pair of trainers or walking shoes that you don’t mind getting muddy. For a sixteen mile hike in the Brecon Beacons in the winter rain you should not come out at all unless you have the experience to know what you need. Only Registered Assistance dogs are permitted on our walks, due to problems with stiles, farm livestock and other dogs. If you wish to bring an Assistance Dog, please contact the Walk Organiser beforehand to check for any difficulties with the route. How do I join Coventry Ramblers and how much does it cost? You can join online or offline. Don’t forget to mention Coventry Ramblers WK02 as your home group or contact our membership secretary who will be delighted to help you. 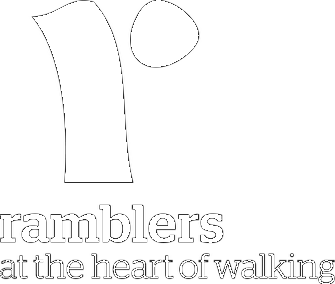 The cost of membership can be found on the Ramblers web site. I won’t know anyone. Will I be welcome? Probably most of the regular members on a walk won’t know everyone else at the start – but they always do by the end! If the walk starts in the morning (unless it’s very short) bring a packed lunch and a drink anyway. Arrive in good time – we don’t hang around! If meeting at the walk starting point then arrive early enough to change into walking boots etc. There really isn’t anything else to worry about. Compared to other activities, walking requires very little essential equipment or skill and has no formal rules. Just be there to enjoy the company and the surroundings. Walking is one of the safest outdoor activities, but no activity is entirely without risk, and it is your responsibility to behave sensibly and to minimise the potential for accidents to occur. If you are planning your own walks independent of the group you must consider other safety factors including navigation. This is especially the case for walks in difficult terrain, such as mountainous areas.